Coffee is made fresh at our homestead every morning, and we add the used coffee grounds to our compost pile. 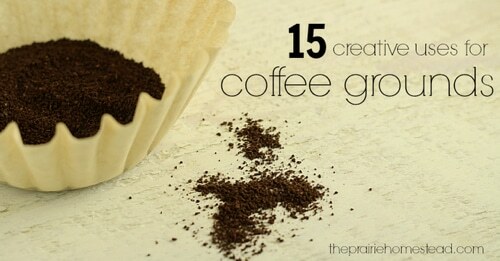 Over at The Prairie Homestead, we discovered other creative ways to repurpose our leftover grounds. We can’t believe we never thought of these before now. If you have lots of extra coffee grounds each day, then take a look at all the creative and useful things you can do with them.